I'm preparing my shopping list for Cover to Cover when my budget opens again and I can start buying books for the library. I reviewed three new picture books here. I've also been looking for non-fiction picture books that I want to add to our Bailey collection. 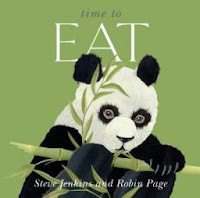 Time to Eat by Steven Jenkins and Robin Page: I don't know how Steve Jenkins keeps up with all of his projects, but everything he puts out is good. Animal eating habits are covered in this book. The weird diets, the weird way some animals eat, and the amazing amounts that some animals eat are all presented in short, easy to read paragraphs. I think one of my favorite factoids is a human would have to drink like 6000 milkshakes in order to eat as much as a tick, comparisons like that are fascinating to me and I think kids too. The fact that Jenkins and Page cover so much info in such short presentations is one of my favorite things about their books. As always, the illustrations are amazing and the back has additional information on all of the animals in the book. Just Fine the Way They Are: From Dirt Roads to Railroads to Interstates by Connie Nordhielm Wooldridge; Illustrated by Richard Walz: This book tells the story of our nation's roads beginning with dirt roads to our first National Road Route 40 and moves through to today's super highways. I thought it was interesting and a great timeline book that could be used for teaching that concept. I liked how the author brought in the "fear of change" theme throughout and how, thank goodness, that fear was ignored and progress was made. The illustrations by Richard Walz are bright and colorful and fun to look at. The Columbus connection made this an especially interesting book for me. 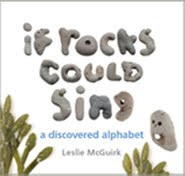 If Rocks Could Sing: A Discovered Alphabet by Leslie McGuirk: I'm sort of picky about buying ABC books, th ey have to really stand out somehow, because there are SO many of them. This one passes the test. Rocks sculpted by ocean waves are amazing things to me and apparently its the same for author/photographer Leslie McGuirk who spent years finding the letters for this book. She has used weathered rocks that look like letters to create the pictures in this book. I think kids will be intrigued by the fact that all of these rocks were shaped by nature and were just found on Florida beaches. It may give them something to think about and on their next trip to the beach. Those of you that have been around Literate Lives know that I'm not a big fantasy guy. Since moving into the library 4 years ago I've read more fantasy than in my entire life. I'm always happy when I find one that I like because I know it will be accessible to kids who aren't fantasy lovers either. 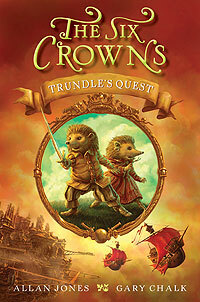 The Six Crowns: Trundle's Quest by Allan Jones with illustrations by Gary Chalk, looks like it will be a great addition not only for introducing kids to fantasy, but also for lower grade readers. The series is called The Six Crowns which refers to the Badgers' Crowns, crystal, iron, flaming fire, ice, wood and carved stone, which were lost when the explosion occurred and the badger lands were broken into "space islands." Trundle is a simple little hedgehog, the lamplighter for his community a job that has passed down generation to generation in his family. He's happy with his life in Port Shiverstones where they grow cabbage. He looks forward to going home each night to a cup of cabbage tea, a bowl of cabbage soup, a warm fire and a good book. All of this is interrupted when he answers the door and finds Esmeralda, a Roamany Hedgehog. 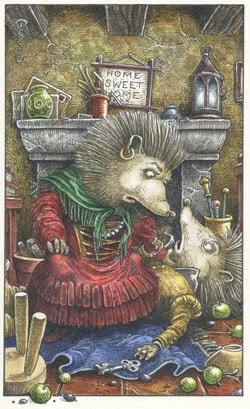 The Roamany hedgehogs are known to possess magic and Esmeralda has used her magic to lo ok into the future. What she sees is her being accompanied by a lamplighter to find the Six Badger Crowns. Trundle doesn't really see himself in the role of a hero on a quest, but when Esmeralda reveals that she is being chased by the Pirate Hogs led by Captain Grizzletusk, he is forced into action. What follows is an exciting escape to another "space island" sailing on wind ships. They are captured and let go and captured and escape. They fight of pirates and slave masters and unscrupulous pub owners. They break windows to steal a sward, meet a minstrel squirrel and discover one of the six crowns. All of it adds up to a fun, suspenseful, can't put it down story that is told in 151 pages, the perfect length in my opinion. I'll be sharing this book with all of my kids and recommending to some good 2nd grade readers and everyone in grades 3rd through 5th. 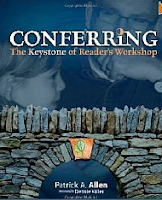 In this final reflection post about Conferring: The Keystone of Reader's Workshop by Patrick Allen, I thought it would be a great opportunity to talk about some of my "walk-aways", to coin a term used by Patrick. He defines walk-away as "a tool or strategy used or discovered as students negotiate text and develop the capacity for independence." After spending time with Patrick and his thinking these past few weeks, I've developed some walk-aways of my own; some tools that will allow me to negotiate my conferring with students and help me develop capacity for fine-tuning these skills to meet my needs and the needs of my students. I want to be more brave about conferring this year. As I read about Patrick recording hours and hours of conferences and then having a colleague come in and videotape him as well, it reinforced for me the importance of opening myself up in ways that allow for analyzing words and strategies used with students. This is the very essence of a reflective teacher; someone constantly doing action research to discover best practices. To tag onto this first point, I plan on recording (video and audio) my conferences with students this year, spending time analyzing what happened in the conferences, and refining my conferring skills and ability to help students grow with the evidence I gather. Patrick approaches each conference as a case study of the student - what the student says, what he says, teaching implications, his thinking. Gathering specific data like this allows us to understand our students' needs in much deeper ways than a number from a standardized or state test (I know, I know - I'm preaching to the choir here!). As I reflect back on recent years, I know my data collection hasn't been as thorough as Patrick's, but has been incredibly in-depth for the first 2 months of school. At our first conferences, parents are amazed at what I know about their child as readers/writers and how well it is documented. It's what happens next that I need to fine-tune. In addition, to taking better conference notes, I plan on not slacking after my initial burst of knowing students. This year, I will look at learning about my students not as a short race, but as a year-long marathon. That puts an entirely different context on how I plan to confer. This last point ties in to a great quote Patrick includes from David Elkind: "Education is not a race. Learning and education are lifelong processes that come to an end only when we do." So truly, it shouldn't be a "race to the top", but rather learning forever. Patrick shares an analogy of learning to building with tinker toys (page 156). He says, "We should observe children tinkering with words, sentences, and whole text." And if we observe carefully enough, we can help build something wonderful -- "independent and engaged readers who walk away from conferences with strategies and tools to help them become confident, effective, and deeper readers." Finally, Patrick ends his book with the subtitle, "Conferring Ain't Easy", followed by multiple premises he has discovered in his study of conferring. Pages 176 - 180 are full of the nitty-gritty of possible roadblocks to strong conferring and what we, as teachers, can do about that. A must read section!! My favorite two are "What Was the Question?" and "You Need a Mint." I will miss hearing Patrick's voice as I read - as I said in my last post, he writes in such a charming way, I'm sure he is talking personally to me. But even though my book is falling apart with so much use, I will be coming back time and again for "refresher courses" when I feel like my conferring needs a fine-tuning. Patrick's voice will never really leave my head, and all the smart things he has so diligently discovered through analyzing his own conferring will continue to guide my best practice while conferring myself. Thanks so much to Cathy Mere, Jill Fisch, and Laura Komos for organizing this #cyberPD on twitter for Conferring. It has drastically changed my thinking, and when I read what the other participants share each week, it furthers my thinking even more. What a wonderful opportunity this has been to engage in professional development that has personal meaning for me!! It's interesting to note that all three of these ladies are primary teachers. It proves what I've thought all along - best practice happens in similar ways at all grade levels. This week, the rest of the conversations can be found at Camp Read-a-Lot. Thanks to Laura for hosting!! I've read quite few new picture books this summer and just realized I hadn't posted any of them. I'll try to get a few of them done over the next week or so. When my budget opens again, I'll be headed to my favorite book store, Cover to Cover, to make some purchases. 13 Words by Lemony Snicket: I've never been a fan of Lemony, I thought the Unfortunate Event bo oks were just weird and creepy. I know, kids loved them and that's great, but they weren't for me. This book is a bit out there too, but what else would we expect from this author. Lemony takes 13 random completely unrelated words and turns them into a totally random story about a dog, a bird and an opera singer. While I'm not a huge fan of the book myself, I can certainly see some uses in the classroom for creative writing. It might be fun to choose a number of words in some random fashion and see what the kids come up with. Sort of like Mad Libs only different. Skippyjon Jones: Class Action by Judith Schachner: I'm a HUGE fan of the Siamese cat who thinks he's a chihuahua, he makes me laugh every time! This episode is no exception. Skippy goes to school to help his friends the chimichangas take on the bully, a teacup chihuahua that wears a sweater and rules the school. Plenty of PIT sing along and clapping will follow. Check out this muy cool website! 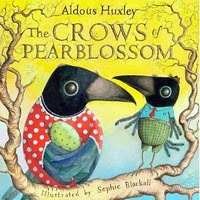 The Crows of Pearblossom by Aldous Huxley Illustrated by Sophie Blackall: When I was a kid, my mom signed me up for the Weekly Reader Summer Book Club. As a member I received a new hardback book each month or so. There were some real classics, Fredrick, Lyle the Crocodile and The Crows of Pearblossom. I loved them all but I haven't seen a copy of the crows in forever. I was very excited to see that So phie Blackall has released a newly illustrated version. 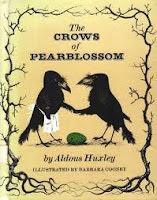 In the story, Mr. and Mrs. Crow fool the evil rattle snake that keeps eating their eggs. I was fascinated to read in the back that this is the only children's story written by Huxley, the author of Brave New World. He wrote it as a Christmas gift for his niece. Thankfully it was illustrated and published because the original manuscript was lost in a fire. Now I just have to find my copy from the 1960s! How They Croaked - after my colleague and friend, Tony recommended it as a fun read, one to whic h he thought boys would be receptive, I decided it was a must buy. Theodore Boone, Kid Lawyer series - another recommendation to me. I watched one of my students this past year be engrossed while reading the first book in the series, and he said I needed to read it. After reading both books, I liked the second book much more than the first. These books will be good additions to our classroom library. I read and reviewed an ARC of the new Titanic series by Gordon Korman a while ago. I know students are always fascinated by this topic. I needed to buy a copy of the first since I only had an ARC, but while at Cover to Cover scored an ARC of the 2nd book in the series. My 20 year old daughter had read the first one and loved it; she immediately read the second and said it was great. The other book she grabbed from my pile was Divergent. She finished it in the course of 2 days. She loved it! I can't wait until I get a block of time to read it. Another ARC I got was Pie by Sarah Weeks (So B. It). In addition to great characters, there are some very yummy pie recipes. 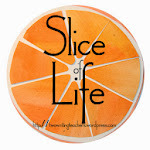 Not a book to read if you're craving sweets! Charlie Joe Jackson's Guide to Not Reading - currently reading this and am very amused so far. Basketball Belles - after serving on the NFPB panel for the Cybils the past two years, I always have an eye out for new nonfiction picture books, so I added this to my bag. The Emerald Atlas - a friend recently asked me if I knew anything about this book. I honestly didn't at the time. So , when I saw it on the "new book" shelf at the library, I realized this was the book she must have been talking about. I'll be interested to see if it's a fantasy I enjoy (not a huge fantasy fan). The Luck of the Buttons - intrigued by the flap information. Takes place in the 1929s in a small Iowa town. Published this past April. Angel in My Pocket by Ilene Cooper - an angel and a mystery coin. Had to have it. Noah Barleywater Runs Away - a title I've heard mentioned by several people. Thought I'd take a look myself. So much reading to do! I can't wait! Any new books at your house? Ok, so my title is deceiving; it would indicate I actually posted a part 1 which I didn't. :) However, in the spirit of my new #cyberPD PLN on twitter, I thought I would get on the same page as everyone else, which brings me back to "part 2." I have so enjoyed reading Patrick Allen's Conferring: The Keystone of Reader's Workshop. As many people posted last week, he writes in such a personal way; I feel like I'm sitting at the kitchen table or in the family room with Patrick as he talks. I imagine we have coffee (ok, Patrick does; I probably have a Pepsi) and some wonderful treats we enjoy as we converse. The book has a very welcoming tone. I don't want to oversimplify what Patrick is saying, but as someone who sometimes flounders when conferring with students, this acronym is such a clear, organized system for thinking about conferences as 3 separate, but overlapping components. Not everything listed above happens in every conference, but the concept of touching base first, pushing the student's thinking next, and finally clarifying the "what's next" step at the end is brilliant! So intuitive, but I love that Patrick has thoughtfully named what he does. As I read the assigned section for this week, the word "thoughtful" came to my mind frequently. This is a true professional at work here. Patrick has recorded hours of his conferences with students, and has honestly critiqued what he's heard. He has meticulously recorded and documented what has happened in conferences with his students; the forms he shares are incredibly helpful for a visual learner like myself. He is such an inspiration, and I find that I want to push my thinking while conferring with children. More importantly, I want to hone my conferring skills. I want to make it an "art" form, in much the same way Patrick has. "I look at a picture and immediately make a judgement... I make a decision based on that one single moment. It's different when I watch a whole video. I get to experience more, think about more..."
Later, Patrick says that this is what happens when we confer. How true -- we get to know our students over a period of time, not necessarily looking at a video, but most definitely looking at multiple moments in the student's reading life. This is a point that will keep me motivated to confer on a regular basis. I'm going to want the "video" of each student to help better inform my instruction and their learning. Before I even read the sections in the book devoted to each question, I knew I had some work to do. I need to do a better job of letting the students guide our conversations. Those assessments that guide my instruction are important, but I also need to listen to what my students have to say. I also need to do a better job of moving to each student for a conference, not having them be the ones to always move. This wasn't a problem before, but in the last year, I've become more stationary, partly due to some knee issues. This coming year, with my brand new left knee, I plan on finding a small stool, and carrying it around the room with me as I confer. I've always worked hard at building relationships with each student, but I will have a different, more focused lens for this work in the coming year. Thanks so much to Jill Fisch for hosting the conversation about Part 2 today at My Primary Passion!!! I look forward to reading what my #cyberPD group had to say this week. As parents we try to provide our kids with opportunities to learn and grow. Sometimes the opportunities help them discover some new talent or skill. Other times the opportunities provide time to improve at things they enjoy. It's exciting when one of these opportunities reveal a real passion in our kids, but sometimes, unexpectedly, our kids provide us with experiences that will never be forgotten. The lovely Mrs. Prosser and I have had two such experiences this summer, both provided by events our 16 year old son Steven was involved in. The first came over Memorial Day weekend. 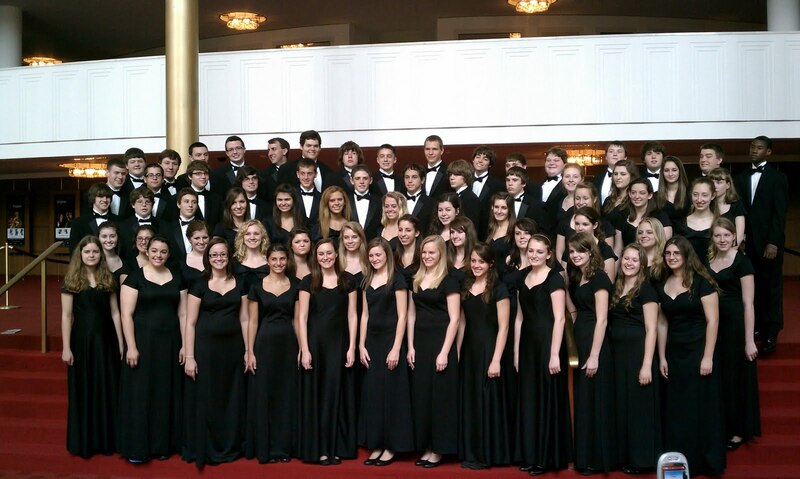 Steven is part of the Hilliard Darby Symphonic Choir, a select choir at his high school. 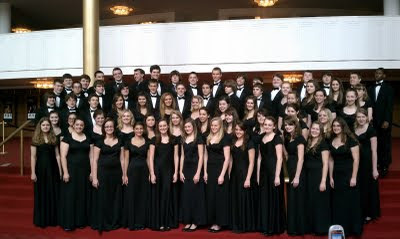 The group was chosen to join several other choirs from around the country to form a 300 voice choir that would perform with the U. S. Army Symphony at the Kennedy Center in Washington, D. C. I won't lie, as the trip grew closer there was some grumbling in my house about the cost, the timing was bad, we were missing graduation parties for some very dear friends, and Steven wasn't getting to play in the state champ ionships for volleyball. We weren't sure the trip was going to be worth the sacrifices we were making as a family. However, it was paid for and Steven had committed, so there really wasn't a choice, we were going to D. C. over Memorial Day Weekend. We toured the city and enjoyed the company of some friends whose daughter was also singing and on Sunday made our way to the Kennedy Center. The performance hall where the kids sang, was amazing, just walking in we felt we were going to be part of something special. When the concert began the host of the event was a Congressional Medal of Honor winner and later the guest conductor was a D-Day survivor. Our son Steven has taken an interest in WW II, thanks to the movie Saving Private Ryan, and was completely impressed and excited to share the stage with these American heroes. As the choir sang and the symphony played, there was not a dry eye in the house. When the groups launched into a medley of the Armed Service theme songs, and audience members stood as their branch was saluted, it hit me why we did this, and how important it was for Steven to be a part of it, that hour in the Kennedy Center was one of the most moving things I have ever been a part of. After the concert we met the kids in the hallway and I could tell from the look on Steven's face that we had made the right choice, he was in sort of a daze and when I hugged him the first thing he said was, "That was awesome!" I couldn't have said it better myself! The second experience just happened last weekend, over the 4th of July. We traveled with Steven's volleyball team to play in the USA Volleyball Junior Boys National Tournament in Minneapolis. Our kids are a high school team that really have only played together for about 3 months. Two of the boys have only played with our team for the last month to prepare for this event. They would be playing against some of the best talent in the country, teams that have played together nearly year round for several years. Many of the teams were from California and Puerto Rico, two places where the kids grow up on the sport, that's not the case in Ohio, most of our kids don't pick up the game until middle school, so strike up another disadvantage for our boys! As play began our Darby Panthers realized they weren't in Central Ohio anymore! In Central Ohio, they dominate, in Minneapolis, they were scrappy and hung in with some amazing teams, never quitting and always playing hard. place. It was an incredible match! In order to win a match a team has to win 2 out of 3 games our boys won the second game and only lost the third by a couple of points. It was so close! After the match the San Gabriel coach was so complimentary of our team and how athletic our boys are, but my favorite comment (proud parent bragging alert) was when he singled our Steven out as a "stud" at his position! Our boys won their next match against yet another California team in what I have to consider one of the most exciting volleyball events I have been a part of. It was obvious after losing such a tough match the kids were having a tough time getting excited and up for the last match of the day, so the parents took it upon themselves to get them fired up. We weren't the largest cheering section in the arena, but for that match, we were the loudest! We chanted D-A-R-B-Y until we didn't have any voices left, moms were running up and down the crowd high fiving everyone who had a hand out, moms were even chest bumping and our boys responded. As the match went on, the crowd around our court began growing and soon the Darby Panthers had a HUGE cheering section, including our opponents from San Gabriel! The boys in red and their parents were cheering just as loud as we were and the Darby Panthers quickly became the talk of the town, for at least that day! What a moment! When the boys walked off the court victorious, words cannot describe their smiles and our pride. Later, while talking to one of the parents from San Gabriel, we learned that they were so impressed with our kids, not only because of how they play the game, but because of their obvious camaraderie and friendship. 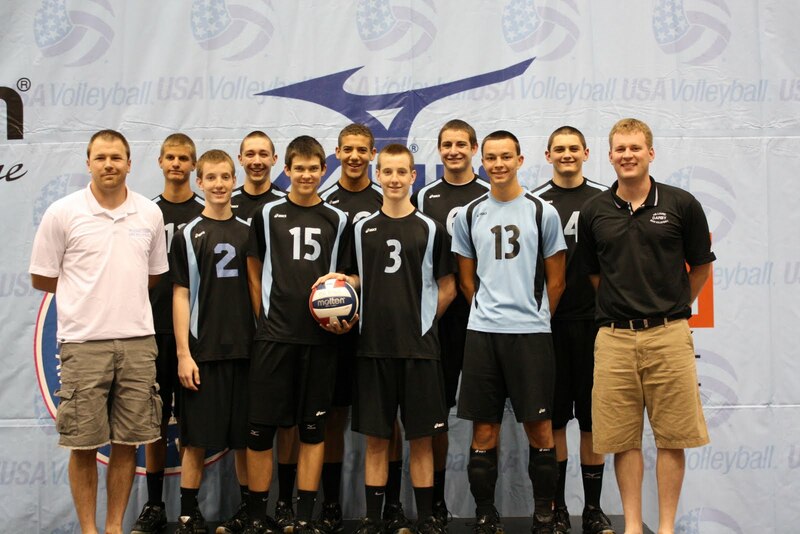 It was clear that the boys on this team enjoy being together. As a parent, that's why we want our kids involved in these things, friendship, working together, cooperation, sportsmanship, perseverance, all things that will take them places in this world. Our boys finished 25th out of 49 teams, moving up 15 spots from their original ranking, and even though Steven was disappointed that they didn't finish higher, the lovely Mrs. Prosser and I know he and his team mates came out with something more than medals.